Christmas Parade is Friday Night! 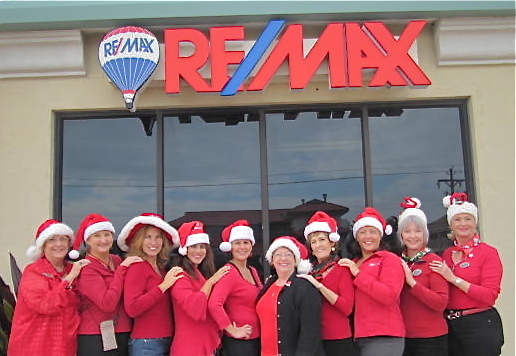 RE/MAX 1st Choice is having an Open House and invites you to join them in viewing the Christmas Parade at 6:15PM Friday! Bring your lawn chair for a front row seat. The judges are across the street so the entries perform their best right here. The South Padre Island Parks, Recreation & Beautification Committee invites the public to celebrate the Christmas Holidays with a complete Christmas schedule of events. The 2011 Christmas Parade will take place on Friday, December 16, 2011 at 6:15 p.m. This year the parade will run south on Padre Boulevard from Mars Street to Kingfish Street with the reviewing stand at the Padre Brewing Company on Padre Blvd. After a voting process that involved the whole community and a three way tie, this years’ Parade Grand Marshals will be Mary Ann Tous, Leslie Blasing, and Amazin’ Walter McDonald. The Christmas Holiday Celebrations continue with the Annual Breakfast with Santa, where kids of all ages will have an opportunity to have breakfast with Santa Claus. Breakfast with Santa will take place on Saturday, December 17, 2011 at Schlitterbahn Beach Water Park from 9 a.m. to 11 a.m. Breakfast is free for all those under 12 and $2 for those over 12. There will be games, photos with Santa, face painting and many more fun activities. The City of South Padre Island will also recognize the best of the parade and Christmas lighting contest at their annual award ceremony that will be held on Tuesday, December 20, 2011 at 6 p.m. in front of the South Padre Island City Hall. The South Padre Island Parks, Recreation & Beautification Committee did it again! The 12+ Days of Christmas Celebration started with the inaugural event on Monday, December 12, 2011, with coffee and cookies at the SPI Welcome Center. The 12+ Days of Christmas Celebration will consist of 27 events between the Cities of South Padre Island and Port Isabel, with a main purpose of promoting the Holiday spirit and bringing business to all of the participating businesses. The 12+ Days of Christmas Celebration will close with a New Years’ Celebration for kids at the PsychaDeli Kids’ New Year’s Party at Water Tower Park from 11 a.m. to 1 p.m. on Saturday, December 31, 2011. For the complete schedule of the 12+ Days of Christmas Celebration please go to www.myspi.org/events. For more information on the Christmas Parade, Breakfast with Santa, Award Ceremony, 12+ Days of Christmas Celebration or any other Christmas event on South Padre Island please visitwww.spichristmas.com.